Have you ever cuddled with a baby goat? If not, then you’re seriously missing out. I can’t stop cuddling the cutest baby goats ever. Even Ben got on board the baby goat train. To be completely honest, the Winter months were rather slow and boring around the farm. Each day felt like the same as before – wake up, farm chores, mom life/work during spare moments, more farm chores, dinner, and bed. Although the slower days felt like a much needed break (especially seeing as Beckham sleeps awful these days), I’ve been counting down the days to Spring. Bringing the kids onto the farm during Winter is nearly impossible. The extreme cold temps and icy ground felt like a recipe for disaster with young kids, so they stayed inside 99% of the time during farm chores. I anxiously waited for Spring to get here. Spring means letting the kids stay up a little bit too late, visiting with our animals, and harvesting veggies from the garden together. Spring is officially here and I’m so ready. 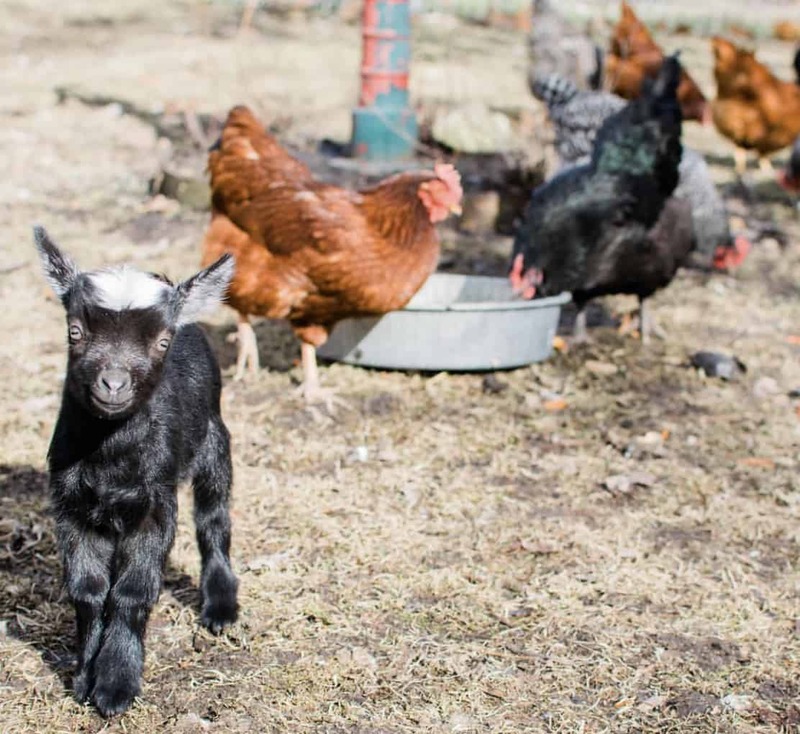 There’s something about baby goats that screams “Spring” to me. 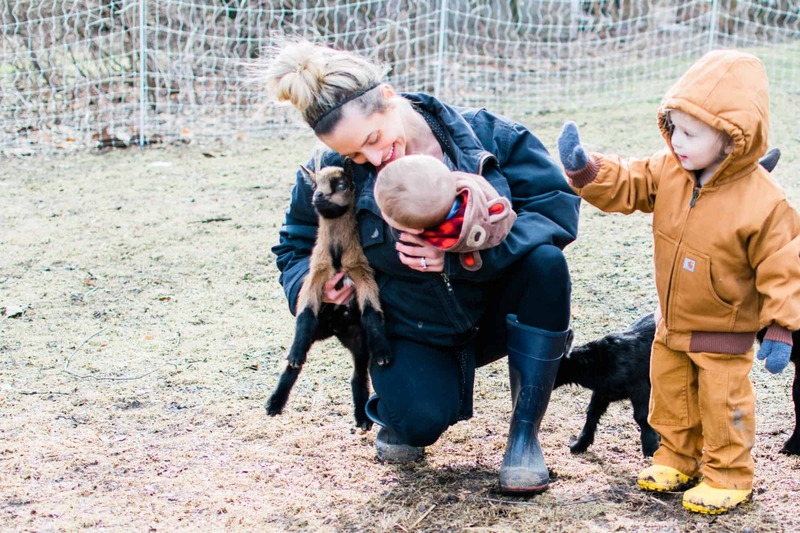 After a dreary cold Winter, our new baby goats feel like a fresh start. I might be biased, but Edith and Marty are probably the cutest baby goats ever. So cute, that I might have snuck them into the house while Ben was at work (sorry hubby.) Finley was so excited to see the baby goats. That girl is fearless with animals. She confidently struts over to the goats and chickens and picks them up like a pro. It makes my heart so happy to see. 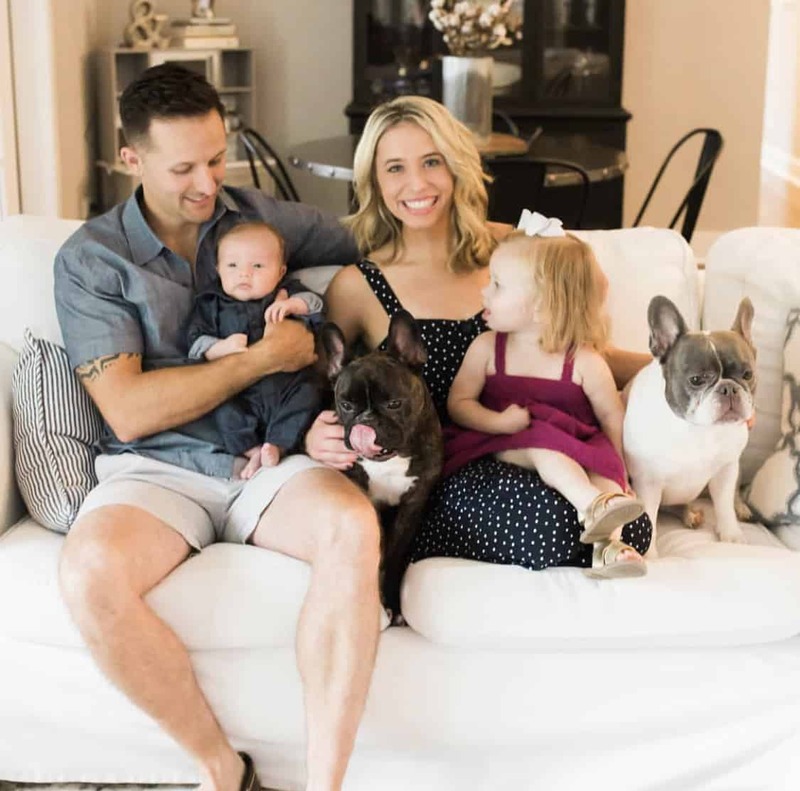 After Edith and Marty were born, we were finally able to spend some time together as a family on the farm. It was still a bit cold, but the slightly warmer weather gave me glimpses into those long Spring and Summer nights. I can’t wait. 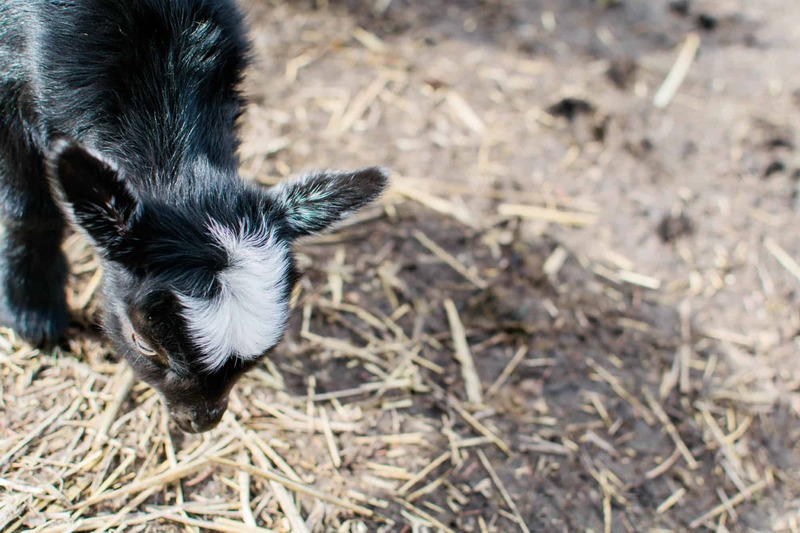 Our sweet baby goats are adjusting to life on the farm perfectly. Fran is such a gentle and patient mama, which is ironic seeing as she’s usually the herd queen bully toward the other goats. While the babies nurse 24/7 and jump all over their mama’s back, Fran is completely unfazed. 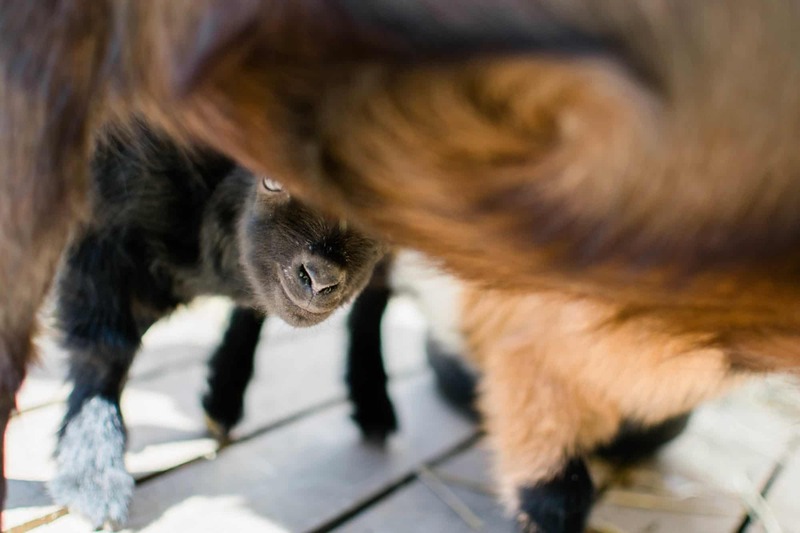 Watching baby goats nurse is quite possibly one of the most amazing things to witness. Maybe it’s because I’ve been either pregnant or nursing for the past 3+ years, but I just love it. 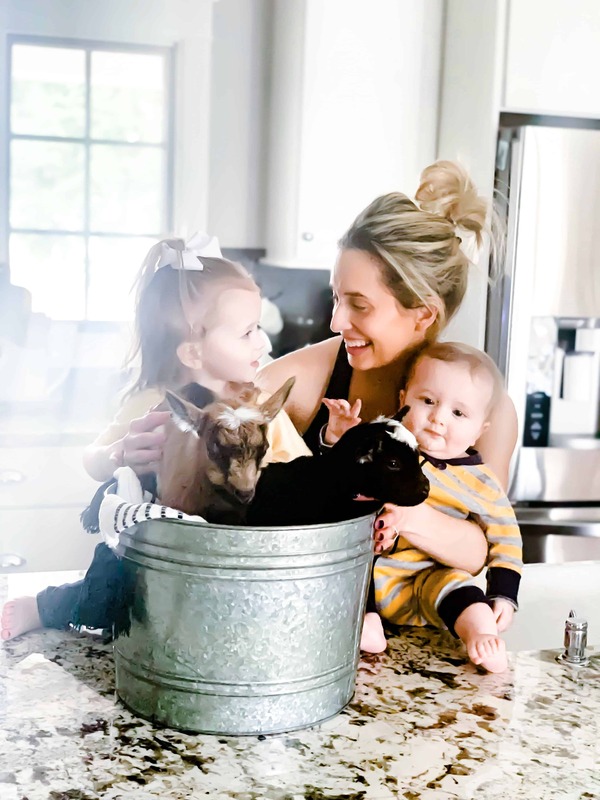 Although we allow all five of the goats to interact together if they’re outside, we’ve been separating Penny and Lucy from Fran and the babies while in the goat house. Ben created a divider in the goat house so the goats could see each other, but they aren’t able to access each other. Penny and Lucy are such sweet goats, so we didn’t anticipate there being any problems integrating the babies. Well, we were wrong. Lucy (aka our super gentle goat) is attempting to establish dominance over the babies. We’re planning to keep the goats separate for a while longer to keep the babies safe. I’ll share all of the details about how we decide to slowly integrate the goats together on the blog when it happens! 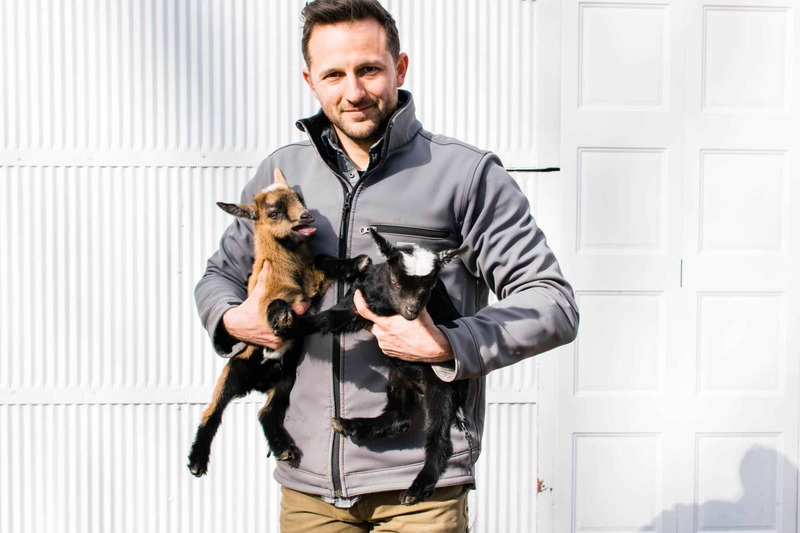 Previous Article Previous post: Goat labor and birth: introducing Edith and Marty! I’m from Chicago. Did I see you are/were too?